The Guerrini Hotel is situated in the historic centre of Venice, in a quiet area, just a few steps from the Grand Canal, 200 metres from the Railway Station of S. Lucia, 10 minutes from the car terminal in Piazzale Roma and at the Tronchetto (car park). The hotel lies close to the Lista di Spagna, one of the main streets of Venice, which is known as Strada Nova in the stretch from Santa Fosca to Campo dei SS Apostoli. The entire street as a whole connects the railway station of Santa Lucia to Rialto through a fascinating walk rich in shops, boutiques, ‘campi’ (squares) and churches of incomparable charm. 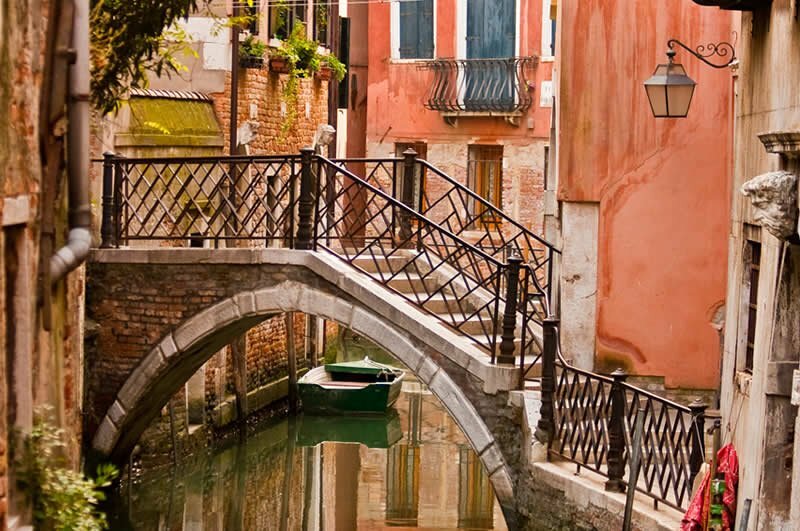 This extensive street axis is indeed an ideal tourist route for those who want to explore Venice on foot. In the square just in front of the hotel, called Campo San Geremia, there is the Church of San Geremia (St. Jeremiah’s Church) with the Sanctuary of Saint Lucia and Palazzo Labia, home to the local premises of the national broadcasting corporation RAI TV. 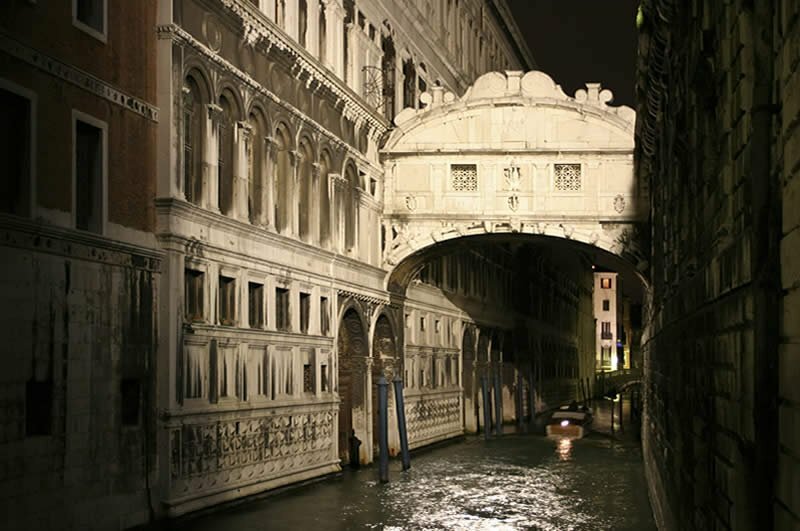 From the hotel you soon reach the Ponte delle Guglie (Bridge of the Spires), the "Rio Terà S. Leonardo", with its picturesque fruit and vegetable market, the Jewish Ghetto and the main premises of the Venice Casino at Ca’ Vendramin Calergi. Walking on along the main street, in a few minutes you reach the Strada Nuova and thence Rialto and the well-known Piazza San Marco (St. Mark’s Square). In close proximity there are the waterbus stops (boats are locally known as ‘vaporetti’) of the main lines of communication for Rialto, San Marco, Murano, Burano and the other islands of the Lagoon. By plane. 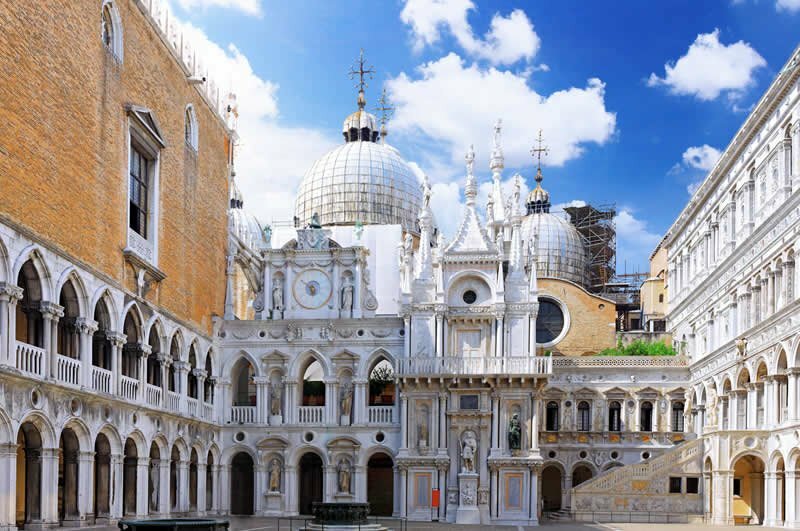 Venice can be reached via the airport of Venice Marco Polo (13 km from Venice), and the airport Canova in Treviso (38 km from the city). From both airports there is a regular shuttle bus leading to the terminal in Piazzale Roma. From there you can go on foot to the railway station or take a vaporetto of line 1 to Rialto and get off straightaway at the railway station. Walk along the Lista di Spagna until you reach the square of Campo San Geremia, then turn left passing under the big red arch that leads into the closed ‘calle’ (street) where our hotel is located. By train. The Saint Lucia Station and a few minutes’ walk from the Guerrini Hotel. On foot, after walking down the stairs of the station, keep left and take the Rio Terà Lista di Spagna and walk on along this street up to the square of Campo S. Geremia. From there, follow the instructions provide in paragraph "By plane". By car. 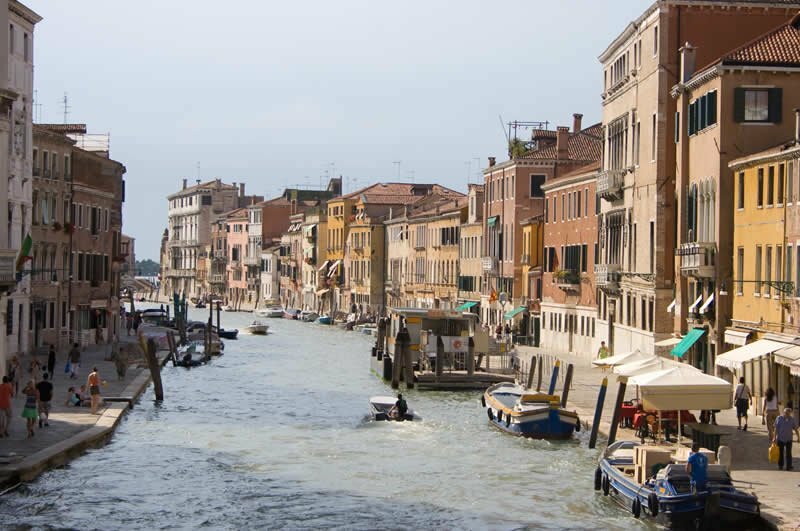 From the barriers of the motorways A4 and A27, follow the signs for Venice. 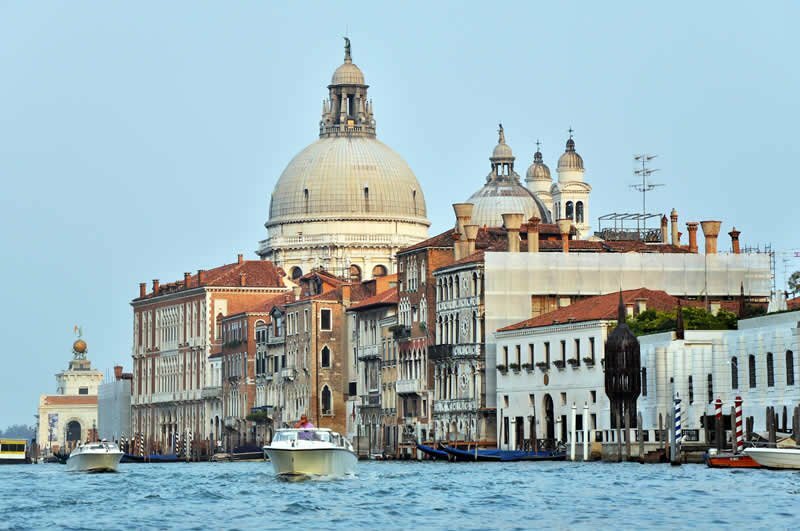 It is not possible to reach the historic centre of Venice by car. However, you cal leave your vehicle in one of the paying car park in Piazzale Roma or at the Tronchetto. From Piazzale Roma, take a vaporetto of line 1 to Rialto (if you leave your car at Tronchetto, take a vaporetto of line 2). Get off at the railway station. From there, follow the instructions provided in paragraph "By plane".